Instead of time out, sometimes all children really need is a cuddle and to be understood. Ima gine this. You’ve had a long stressful day and are at the end of your tether – the kids have been fighting & under your feet, the place is in a mess and you have only just got them to bed after a battle. Your partner comes home and you are short tempered with him/her, don’t ask how he/she is feeling and reel off a list of things that should have been done earlier and you need doing right NOW. As a result they storm off in a huff giving you the cold shoulder as a kind of ‘time out’. How do you feel? Misunderstood, more angry, rejected, abandoned…How do you react? Pursue them crossly & argue? Withdraw & give up? How do you feel this time? How do you react? Aren’t you more likely to clear your head, recover & consider a better bedtime strategy for next time after a hug, rather than when you are feeling ignored and resentful. However Time out is a good way to avoid out of control behaviour, escalating power battles or aggression – on your part as much as theirs. But is it really the best way to help children learn to regulate their emotions and learn values to live by? 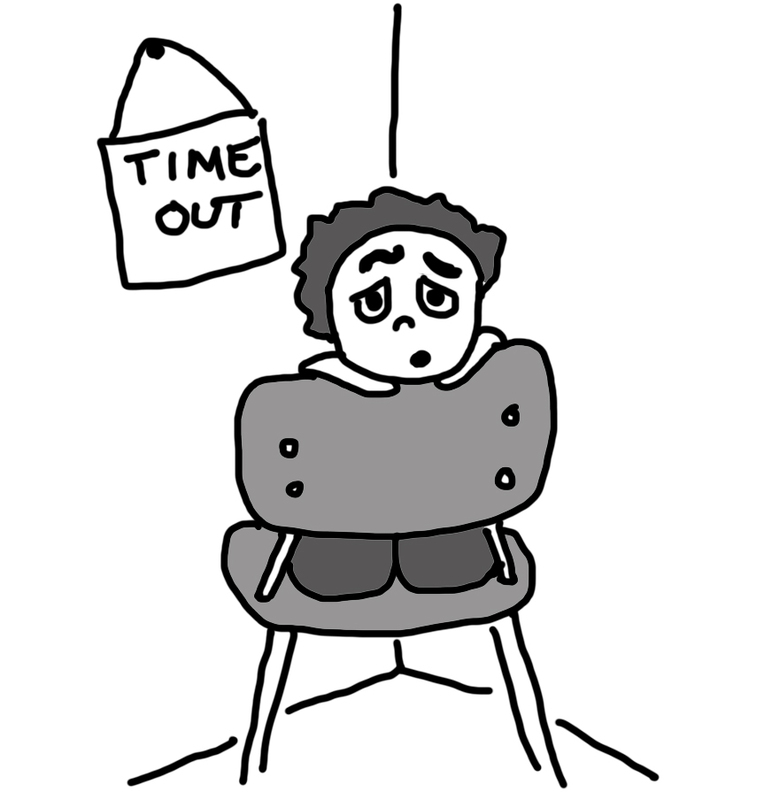 Is time out working for you and your child? Are you needing to use it more often or on a daily basis? Do you feel you need to use it for everything they do ‘wrong’? Is your child kicking up a fuss whilst in TO? Or trying to leave or escape? Do you use it repeatedly for the same offence or enforce it in an aggressive way? Do you find that the more stressed you are the more they act up & cling? Here are some suggestions for trying a more supportive approach with less confrontation. · Listen quietly: This gives you an opportunity to understand and to really connect with your child. (It doesn’t mean you are accepting the inappropriate behaviour). Remember your child cannot process anything effectively when wound up they need time to deal with strong feelings. · You can remain calm too: as you are not caught up in the whirlwind of feelings or engaged in a power battle or negotiations. All you do at this stage is to behave calmly, listen and keep your child out of danger or from damaging things. And your child will calm down faster as they don’t feel isolated, humiliated or rejected. It can become time out together, for both of you. End on a positive note – praise efforts to make amends, ask how they are going to sort it out..
· Check they understand: “Show me” - Ask them to repeat or practice it or ask what they are going to do better next time. It is also important for you to plan to make time out for you to recharge later. For aggressive or destructive behaviour or if you feel you are getting too angry, shouting and loosing control, use Time out to calm down.